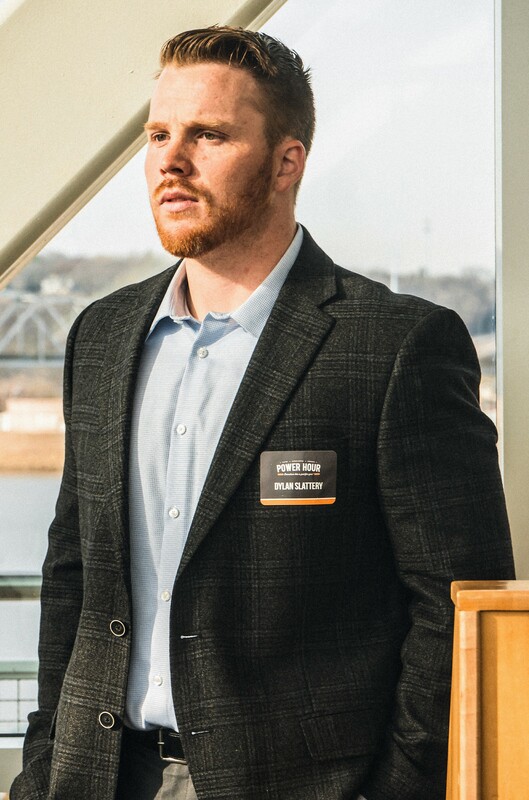 Dylan Slattery continues to rise in world of keynote speaking to businesses, sports organizations, and educational institutions. His unique perspective on life has painted an amazing mural that depicts overcoming adversity in every way. I recently had the opportunity to spend some time with Dylan and walked away with some great lessons. “I am a speaker, podcast host, and performance coach helping my clients get from the stage they find themselves on today, to the one that they were meant to be on. “Sharing my story in front of hundreds of people was a game-changer for me. It was not only therapeutic but had so much impact on the audience. “Tommy Baker, a mentor out of Arizona that I reached out to towards the end of my battle with cancer taught me about the importance of a morning routine and the impact of having a pillar platform can have on your business, spreading a message, and identifying your ideal clients. Ed Mylett for his compassion, business principles, but most of all his faith. Tim Feriss for his ability to deconstruct the habits, mindset, and workflows of his guests with the goal of mastering the art of efficiency. Up Close with NBA skills trainer, Alan Stein Jr.